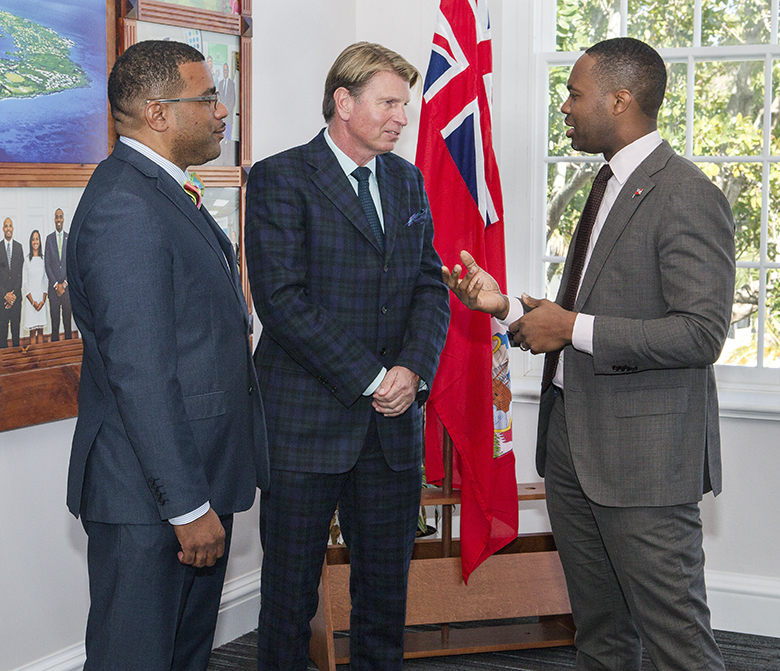 “This scholarship was made possible by the generous donation of long-time Bermuda resident, Mr. Chris Maybury and Mr. Karim Alibhai, founder and principal of GenCom and the new owner of Rosewood Bermuda,” the Government said. “In 2017, Mr. Maybury approached the Premier with the idea of making a lasting investment in Bermuda, namely the introduction of a scholarship for a promising young Bermudian with leadership potential. 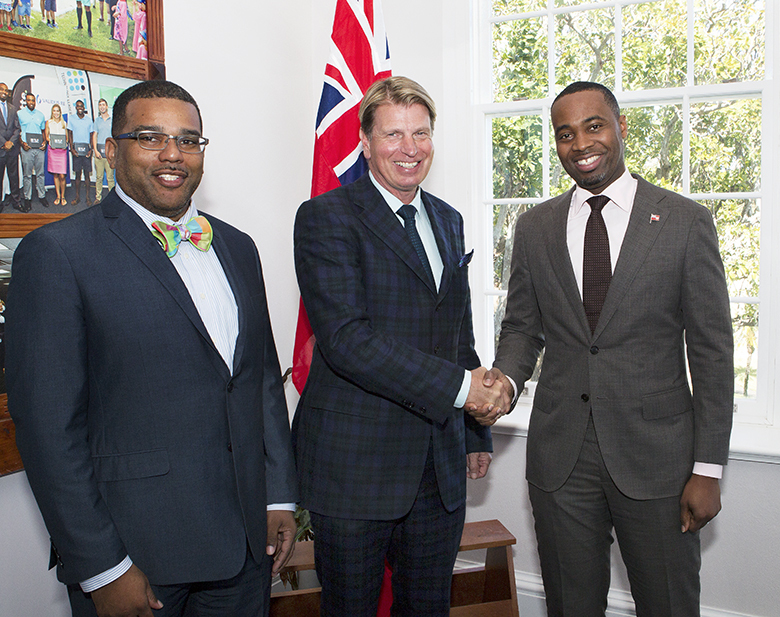 Mr. Maybury was soon joined by Mr. Alibhai in making this gift to Bermuda allowing for two scholarships to be offered. “Investing in future leaders of Bermuda is a duty of non-Bermudians who are afforded the privilege of living on the most beautiful island on earth and a way to put something back into this vibrant community. This was the conclusion of Mr. Alibhai and myself and we encourage others to get involved in helping young Bermudians,” said Chris Maybury. Premier Burt said, “The Minister of Education, the Hon. Diallo Rabain and I are pleased to formally acknowledge the creation of scholarships for two deserving students to attend the University of St Andrews, made possible through the generous financial support of Mr. Maybury and Mr. Alibhai. 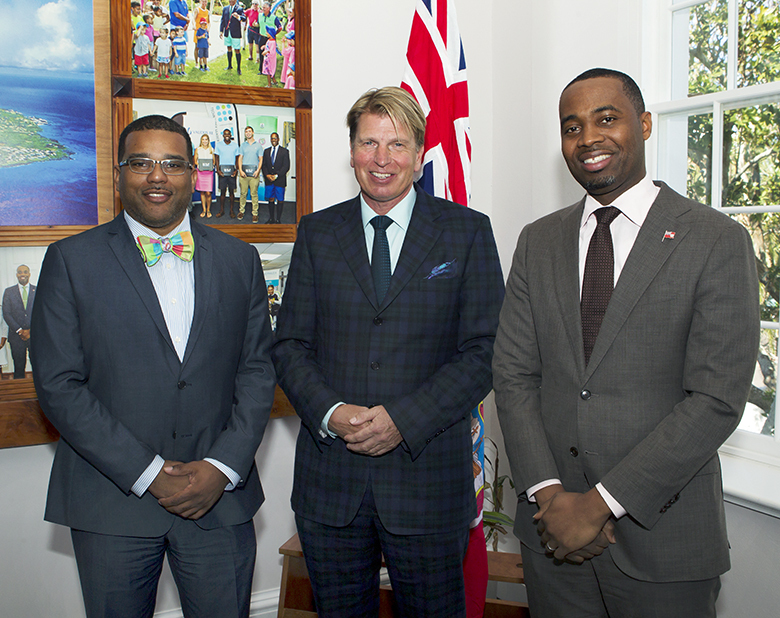 “Their pledge to give full scholarships is admirable and a testament to their belief in Bermuda’s youth and supports the vision of the community and Government working together to provide a better future for our students. Founded in 1413, the University of St. Andrews is Scotland’s oldest university. A highly competitive institution, it offers over 900 degree courses, organised across four faculties: Arts, Divinity, Medicine, and Science. It is located 90 minutes from Edinburgh in the town of Fife. Mr. Maybury proposed the University of St. Andrews due to its range of degree courses, and the broad courses of study that allow for exploration and exposure in a student’s first year of university. St. Andrews also has a diverse international study body and provides significant levels of support to its students, both local and from overseas. “We are honoured to give back to the Bermudian community by offering deserving students a scholarship to St. Andrews,” said Karim Alibhai, founder and principal of Gencom. The Government noted that, “The scholarship is valued at up to £35,000 annually for 4 years, for British Overseas Territory fee status students and covers tuition, accommodation, food, return airfare and a computer. “The intent of the donors was to fully fund all expenses so that scholarship recipients did not have to worry about money, but instead be focused on their studies and the successful completion of their programme of study at the University of St. Andrews. In order to apply for this scholarship, students must first apply directly to the University of St. Andrews here. Students can then submit their scholarship application on Bermudascholarships.com by the deadline of Monday April 23rd, 2018. The caption should read, “thanks for your money and supporting our children, but you still have no chance of gaining status in Bermuda”. If I were in YOUR place of origin, I would more likely than not, be treated with disrespect. You are worried about YOUR status, what about employable Bermudians(sufficiently educated) WHO ARE STILL jobless. Grab a ticket and get to the back of the line. DID NOT YOU KNOW THE THRONE SPEECH? Was this scholarship ever awarded or was it just a photo op?